Ultratech reveals the newest addition to its ever-growing brand of military products, the Riptor battlefield infiltration and disruption unit! Plasma claws, internal flame generators, and cybernetic tail extensors are combined with a natural predator’s advantages. Don’t wait! Order yours TODAY! 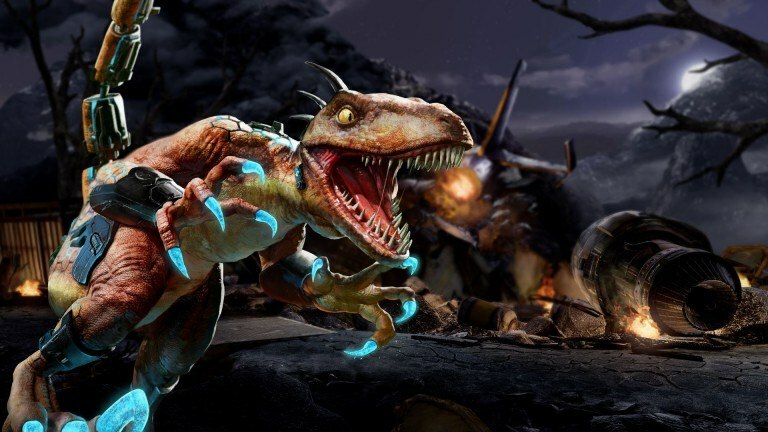 Riptor is included in Season 2 Combo Breaker and Season 2 Ultra Edition, but for this week only you can try her for free. That’s right, this deadly creation is this week’s free rotating character in Killer Instinct. Give Ripor a try anytime between now and August 16th, and should you feel so inclined, you can purchase her through the Store.